The Kirklees Light Railway offer a scenic journey along the route of the old Clayton West Branch Line. Travel by steam on a 3 and a 1/2 mile journey between Clayton West and Shelley taking in views of the South Pennine Foothills. Board the train at Clayton West Station where The Buffer Stop Cafe is located to grab a quick drink and snack or something more substantial if required. Board the train and pass through our two intermediate stations of Cuckoo’s Nest and Skelmanthorpe where you may pass one of the other trains. 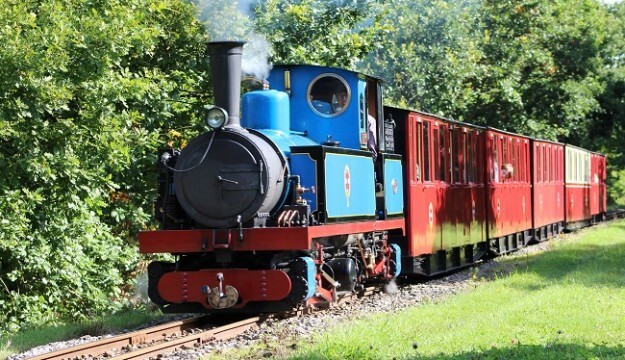 The train will then pass through Shelley Woodhouse Tunnel, the longest tunnel on a narrow gauge railway in the UK at 511 yards and then reaching the end destination of Shelley Station. Group rates start from just 15 paying passengers with an even further reduction if there will be 30 paying passengers or more. Coach drivers and guides will travel on the train for free on the day of the visit. 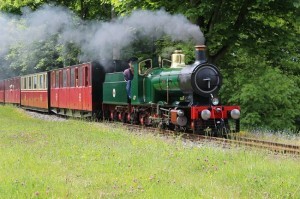 If the railway is closed to the public on the day you wish to visit, you can charter a train for your group. Minimum rates do apply for chartering a train, please visit the website for more details.